In 1990 I sat in front of my television at that moment and watched how Nelson Mandela walked out of prison … and tears started flowing. Upon hearing of his passing, reading the words of the faithful and memorials of leaders worldwide, I listened deeply. I still hear Mandela’s transcendence, a man like only a handful of others, whose life transformed beyond the individual story-line. He made a good heart great; his vision was as wide, focused only upon the well-being of all and encouraged all to do likewise. Mandela’s ability to use words to breathe life into social issues was his most powerful weapon. For him transcendence was essential. While politicians openly talk of repairing the injustice, Mandela found one could only transcend and transform it. He transcended brutality via four immeasurable minds—loving kindness; compassion; joy; and equanimity. He remained calm and concentrated. He looked deeply into the nature of suffering and with sudden understanding his heart was able to expand. He not only felt the power to bear injustice; he could survive it, he could live with it, and more importantly, he could transform it. Only few could live the life Mandela led. How we would live in a world where evil ran like an open sewer is a hard question and should provoke great reflection. 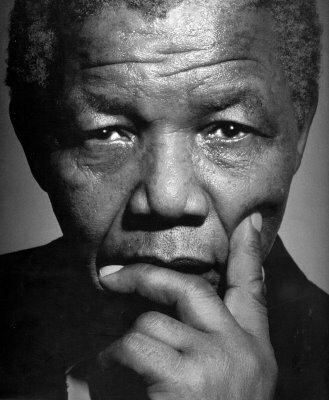 Like a great Tibetan master, Mandela countered negative energy with positive thought and action. He made himself an example, a light, a beacon … and openly practiced grace in all opportunities thrust upon him. In the vilest forms of hate, he showed the world forgiveness, love, dedication, and peace. Mandela is an icon for centuries. He believed in human dignity, equality and freedom. He struggled not only for black South Africans, but for the dignity of all. Going into prison he was carbon but emerged a diamond. His brilliance remains undiminished. His character was resolve; he may have lost a life, but gained a nation. What Mandela taught me was the real source of transcendence does not come from a superior war machine, but from one’s internal constitution, our own individual leadership and our view within the global community. We must continually embrace our history and vision for human rights. At 90 years old, Mandela said it was time to pass the burden onto new hands. Like a distance runner finishing a race, Mandela passed the baton to us, those who quickly becoming forefathers to a new generation. It’s up to us find a way of “living with each other in peace.” It’s time for us to lead. Can we find a way to fulfill our spirit without indignation of others? We have a large house, but can we do it? Nelson Mandela will forever live in my constitution, in my view of society. How does he, if at all, live in you? When people not power are the focus of your life, both you and others are transformed. Merry Christmas! Thank you for stopping by. Always nice to see you. A wonderful tribute ~ good write! Thanks Uncle. You’re the best. Appreciate your support. Such a moving piece of writing.